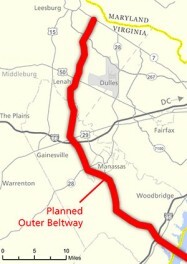 VDOT is pushing to create a new highway in Northern Virginia referred to (among other names) as the Outer Beltway. This controversial new highway would cut through a National Park, open up over 100,000 acres to new development, and has the potential to actually increase traffic congestion on other roads. Making matters worse, recent VDOT presentations confirm the road will be designed to carry freight and other cargo at speeds in excess of 65mph — splitting neighborhoods from their schools, and greatly increasing sound and air pollution. In short, this will be the most important land use decision that will be made in Virginia in the next 5 years. 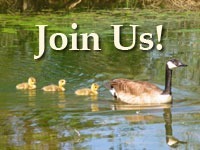 Goose Creek Association is a nonprofit representing @600 members in Fauquier and Loudoun Counties dedicated to preserving and protecting the natural resources, historic heritage and rural quality of life in the Goose Creek watershed. The Goose Creek watershed runs 386 square miles from Fauquier County north through Loudoun County into the Potomac River near Leesburg. The Goose Creek watershed is part of the Potomac and Chesapeake Bay watersheds. The Goose Creek provides water for those in its watershed and for the City of Fairfax. 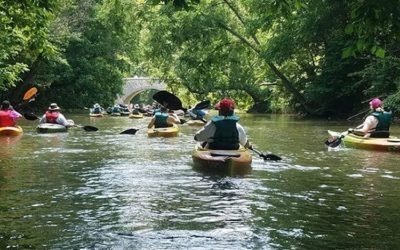 Volunteer water monitoring indicates that the Goose Creek is stressed by development in northern Loudoun County. The Parkway will cross or come near the Goose Creek in northern Loudoun County. The Parkway and the development it will facilitate will further stress and pollute the Goose Creek watershed. Environmental impact studies on the Parkway should consider its impact on the Goose Creek watershed. The Piedmont Environmental Council’s “Substitute Vision” comprehensively addresses traffic issues with common sense improvements to existing roads, Metro extension, and VRE expansion. The Bi-County Parkway will generate more demands on our infrastructure than it will address. If it is so necessary for development and commerce, then the developers and businesses should pay for it, not the taxpayer residents.